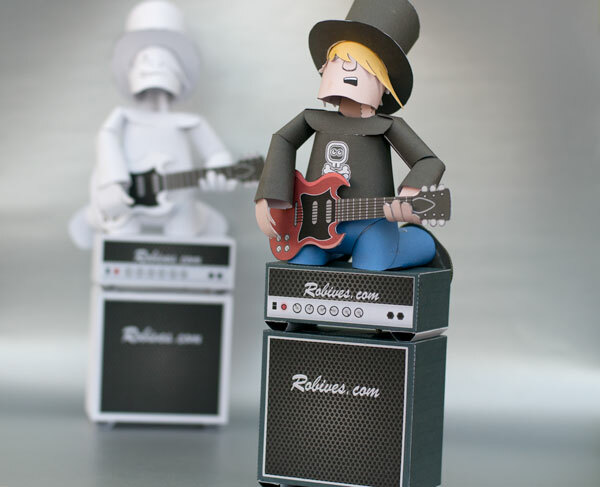 Rock and Roll - Come and Get it! 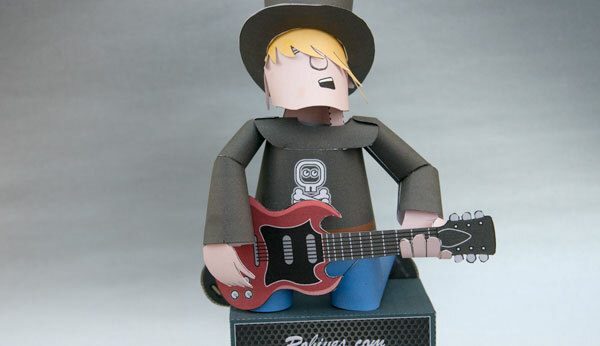 Rock and Roll – an animated paper toy to download and make. 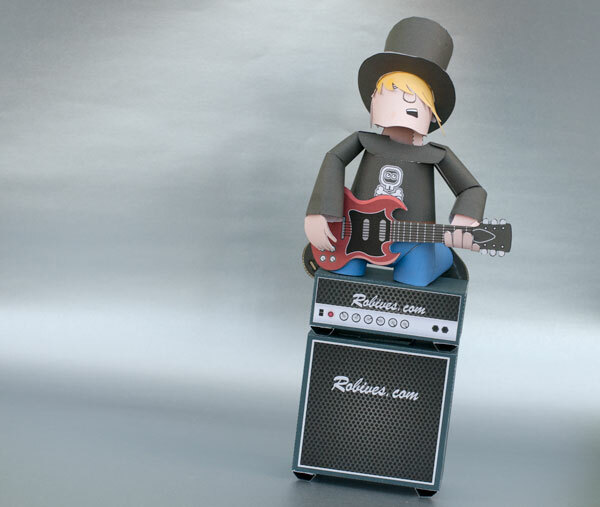 Tap the box and the guitarist’s head rocks back and forth powered by the pendulum hidden in the speaker cab. Head banger! 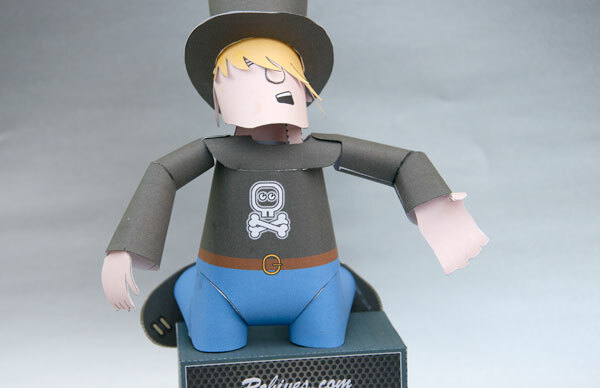 This paper toy project is free for members to download. 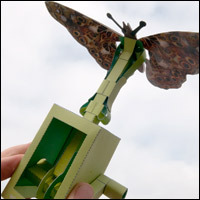 Non-members can download the model for a modest fee. The model comes in two variants. Full colour and mono for you to colour in yourself. 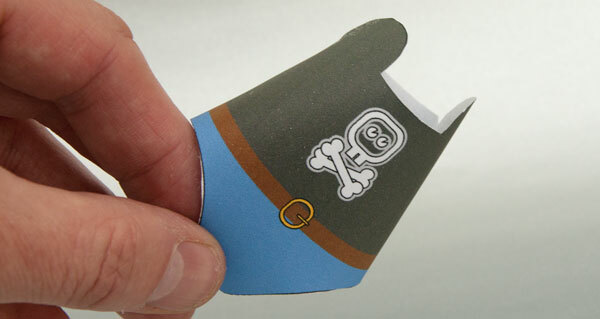 Print out the pages of the model onto thin card (230 micron/230 gsm) Carefully score along all the dotted and dashed lines and cut out the holes before cutting out the parts. 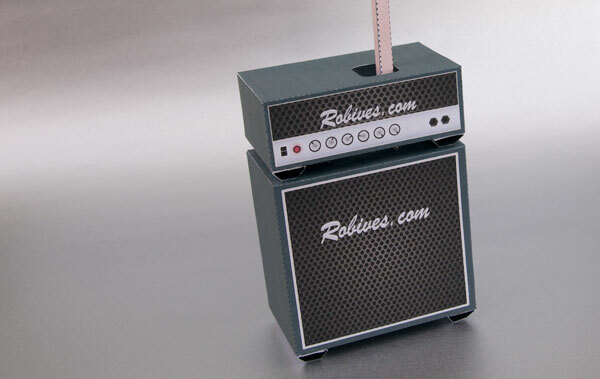 Start by making up the tube sections on the speaker cab and amplifier box. 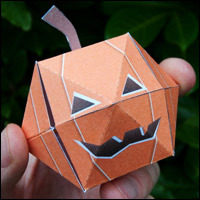 Note that the triangular section is a right angled triangle and the four sided section is made from valley folds so the paper is folded in on itself with the coloured face to the inside. Repeat this process for all four parts. Glue the top stiffener to the inside of the speaker cab under the side with the grey area. This will support the weight of the pendulum. 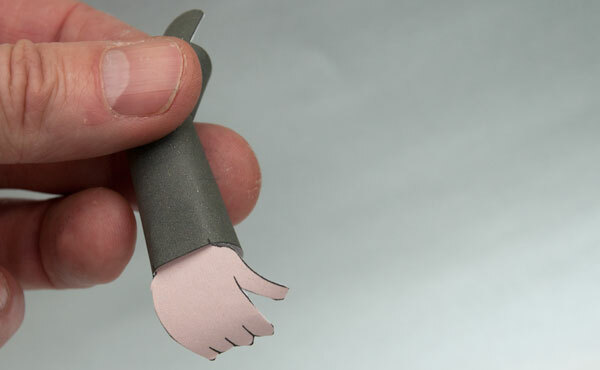 …and glue down the feet. 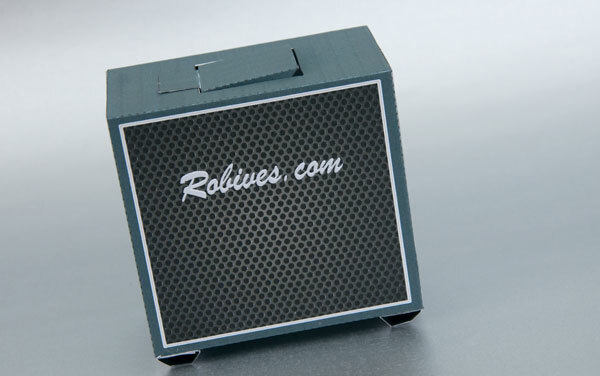 Repeat the process with the amplifier box. Assemble the pendulum as shown. Glue on the hinge. 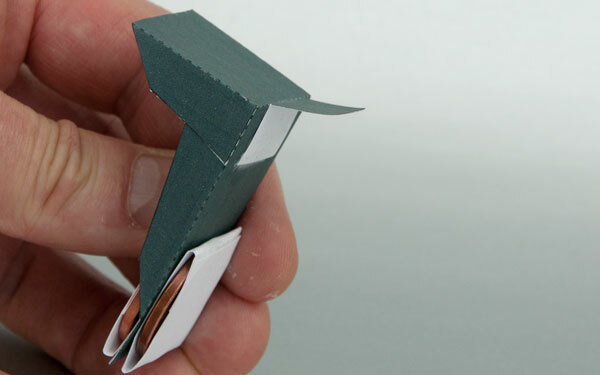 Wrap two coins in paper and glue then to the front and back of the pendulum. The coins shown here are UK two pence pieces. Diameter 25mm, weight 7 grams each. 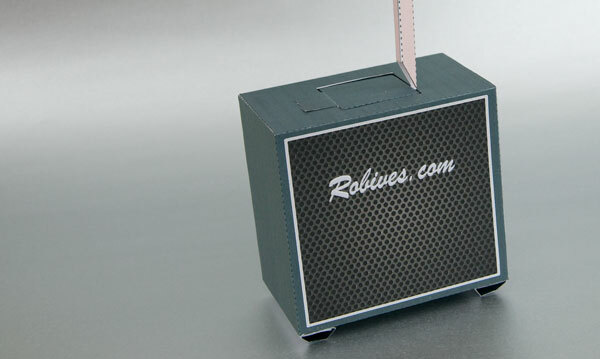 Thread the pendulum into the top of the speaker cab and glue the hinge to the top of the box. Fold up and glue together the neck push rod. 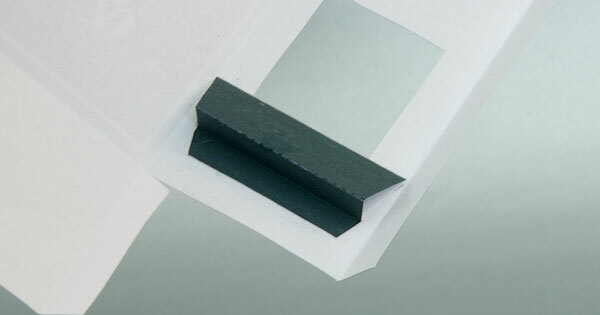 Glue the rectangular tab of the neck push rod to the underside of the pendulum between the two short grey lines. Fit the amplifier box over the top of the push rod. Glue it to the top of the speaker cab. 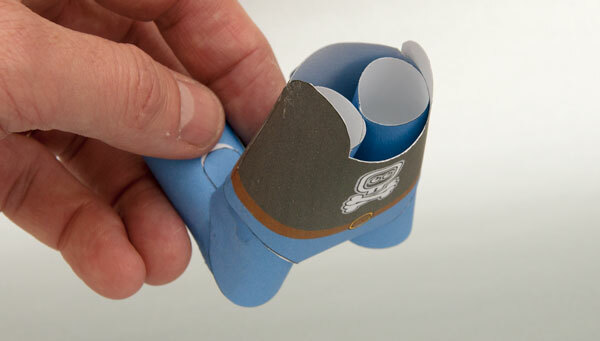 Roll the four leg tubes up and glue them down. 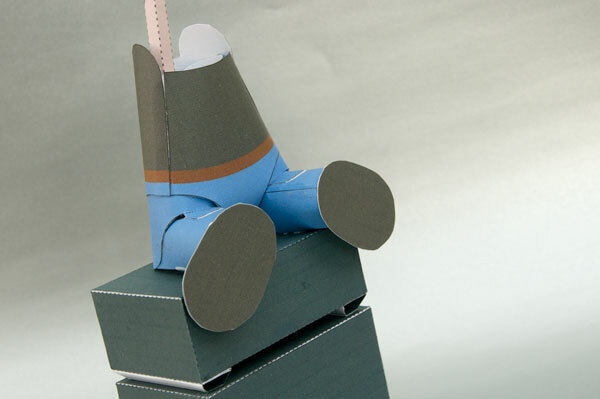 Pair up the two leg parts so that the upper and lower legs have the seam on the same side. Glue them together as shown. 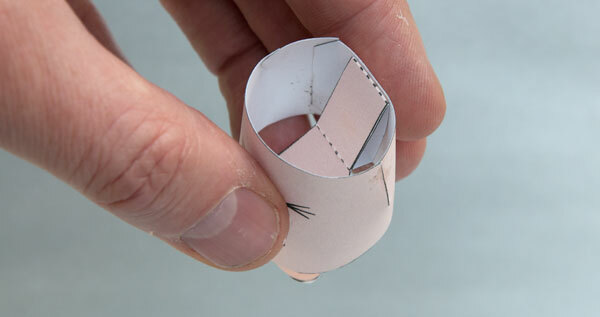 Fold round and glue together the body. Thread the two legs up through the leg holes and glue them to the inside of the body. Line up the top of the leg with the top of the body. Thread the body over the push rod so that the push rod threads up through the left knee. 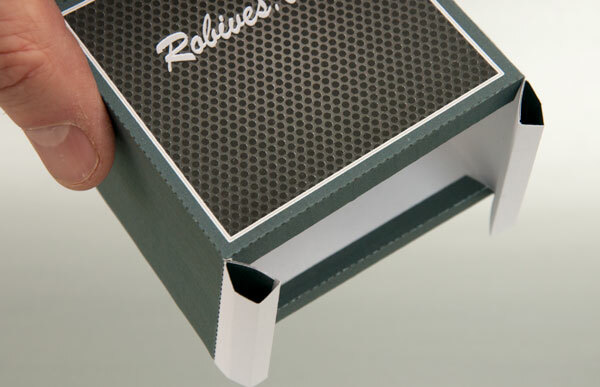 Glue the shins to the top of the box. 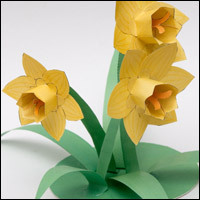 Make the feet by folding over the parts to make double thickness card then carefully cut them out. Glue the feet to the end of the legs. 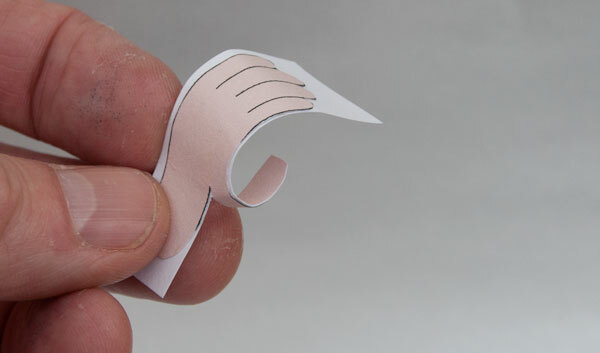 …and curve it round then glue it to the back of the body. 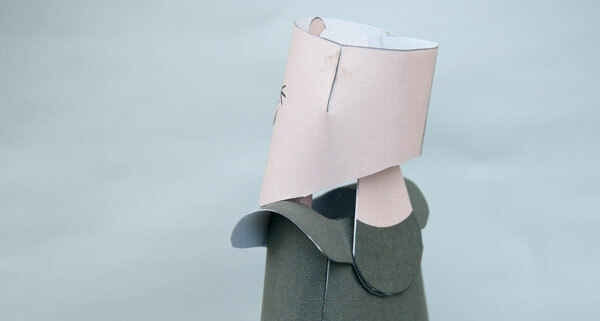 Roll round and glue together the head. Fold up and glue together the neck. Glue the neck cover into place if you are constructing the colour version. Glue the triangle of the neck piece to the inside back of the head. Fold round and glue together the neck front. Glue the neck front to the neck. Glue the bottom of the neck to the back of the shoulders. Set the model onto a level surface. 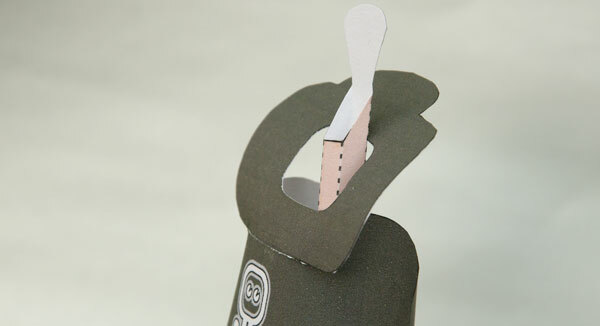 Raise the chin slightly then glue together the top of the push rod and the rounded tab on the neck front. 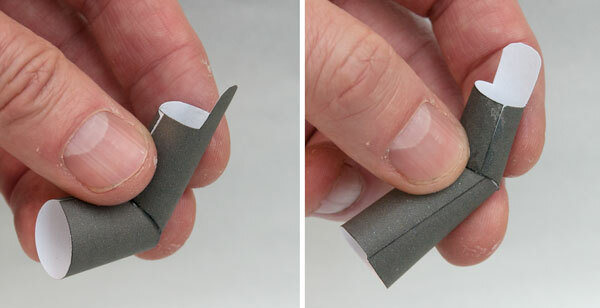 Use a pair of tweezers to nip them together. Starting at the grey area on the head roll the hair round the head and glue it down. 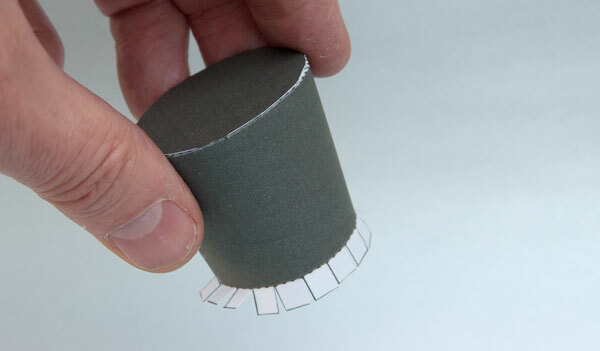 Roll round and glue together the body of the hat. 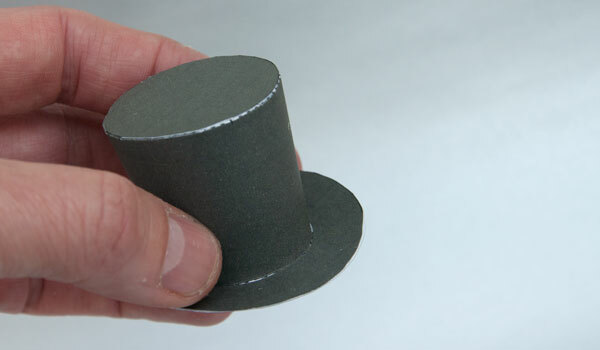 Glue the top of the hat into place. Fit the upper brim into place gluing it to the tabs round the base of the hat. 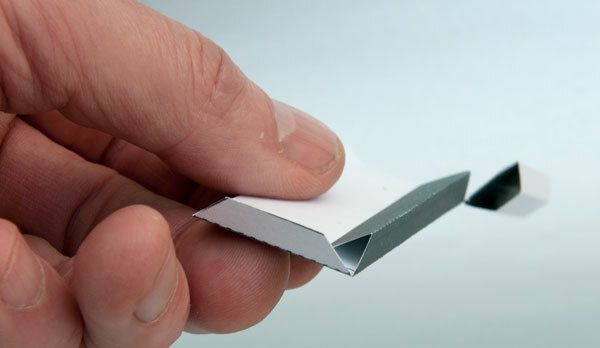 Glue the other brim to the underside of the first to sandwich the tabs. Add a curve to the brim before the glue dries. 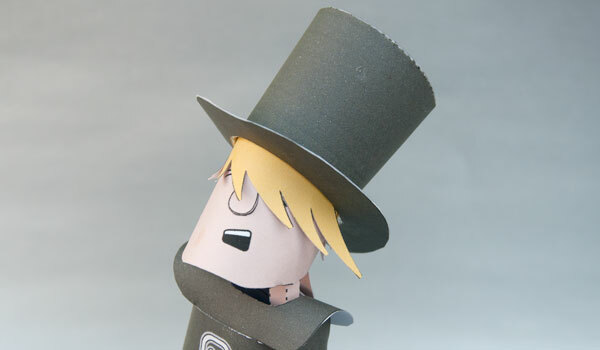 Fit the hat to the head at a jaunty angle. 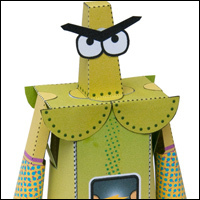 Roll up and glue together the two arms. Bend them at the elbows and glue them into position as shown. The right arm is the arm with the shorter upper arm. Glue the hand in place between the two dots. Glue the other hand into place between the dots on the other arm. Glue the arms to the shoulders as shown. 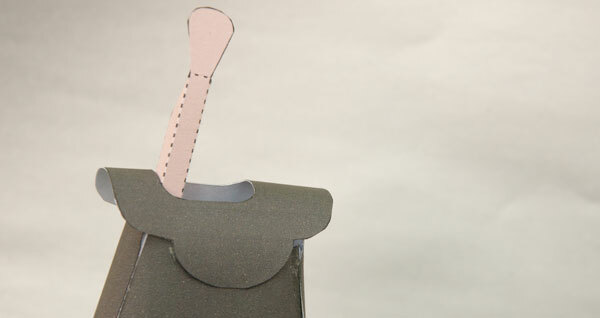 The guitar is made from a double thickness card carefully cut out. 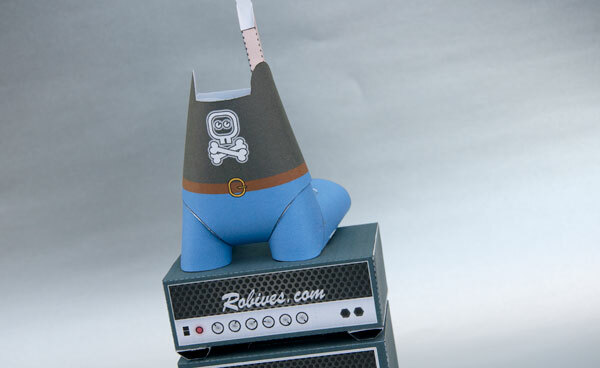 Glue the guitar into place on the right thigh and match up the two hands. That completes the model. 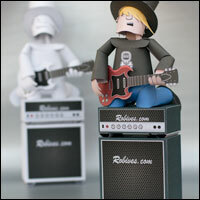 Tap the box and the guitarist will nod his head. Rock and Roll! 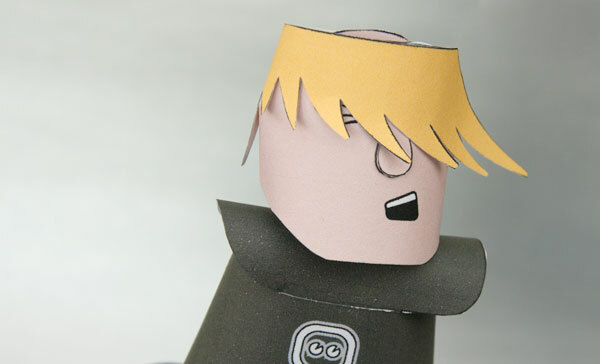 Match up the Rock and Roll model with the Paper Rock model to make a paper toy scene. The moment I saw this, I actually said aloud, "OH, WOW!!!" I got the download immediately, and can hardly wait to build it. Rock and Roll will definitely be the next project. Thanks so very much for all your magnificent creations. They are really wonderful, and they keep me very entertained. I just love them. 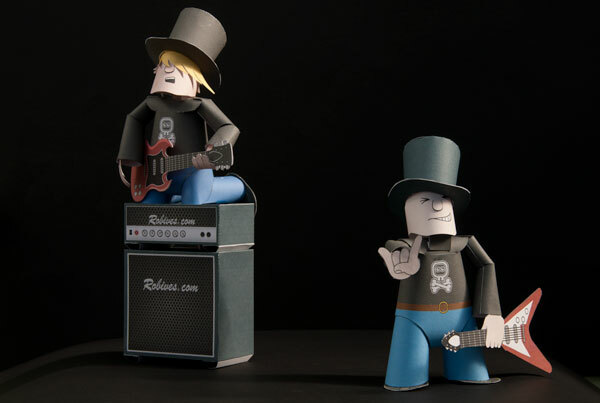 I shall to have to make these guys for my parcel shelve. Sorry it took me soooo long to get this chap built. Life happened, as it were. Made a small modification to the mouth. After cutting away the black portion, I added a open-ended box of red paper inside, and the quintessential searing guitar solo extended tongue.